You may or may not know that RichardsDee has moved address. After many happy years in Portobello we eventually ran out of room for our ever-expanding team. We’ve ventured across the Liffey and into a beautiful space on O’Connell Street directly across from the GPO and right next door to Clery’s. A new chapter, and inspiration in a new part of Dublin. Moving to a new studio means discovering a new part of the city. Here are a few things we’ve noticed about our new stomping ground that help to keep our minds fresh with new ideas. We thought we’d take a minute to share them. First things first, the morning sun on the quays is a sight to behold. It’s hard to not feel energised and ready to create meaningful change when the walk to work is this charming. 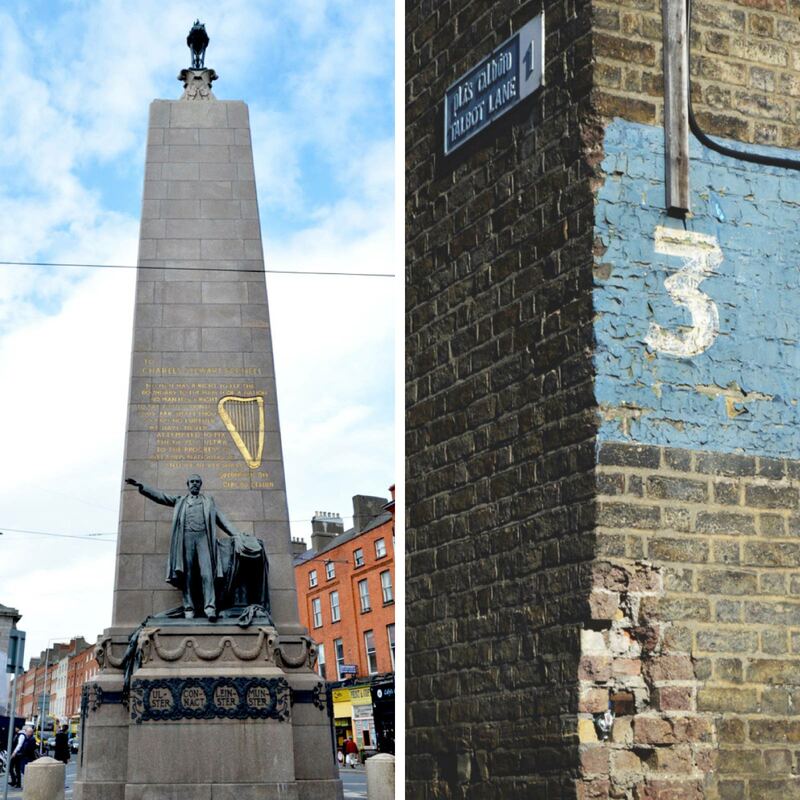 We’re also lucky to have history living right on our doorstep, there’s the GPO, James Joyce’s statue on Earl Street or the statue of Big Jim Larkin, the founder of the Workers Union. He’s usually exclaiming something or other to us when we walk past! With all this history right on our doorstep, it helps us shape brands with authenticity. It’s a privilege to see the DoDublin buses drive past every day, a project that we worked on in ­2017 and one we’re very proud of. It’s fantastic to see the buses in action, packed full of tourists learning more about our beautiful city. Walking around our new hood, we’ve noticed that there’s lots of old signage on the buildings above our heads, you just have to look up to see it. 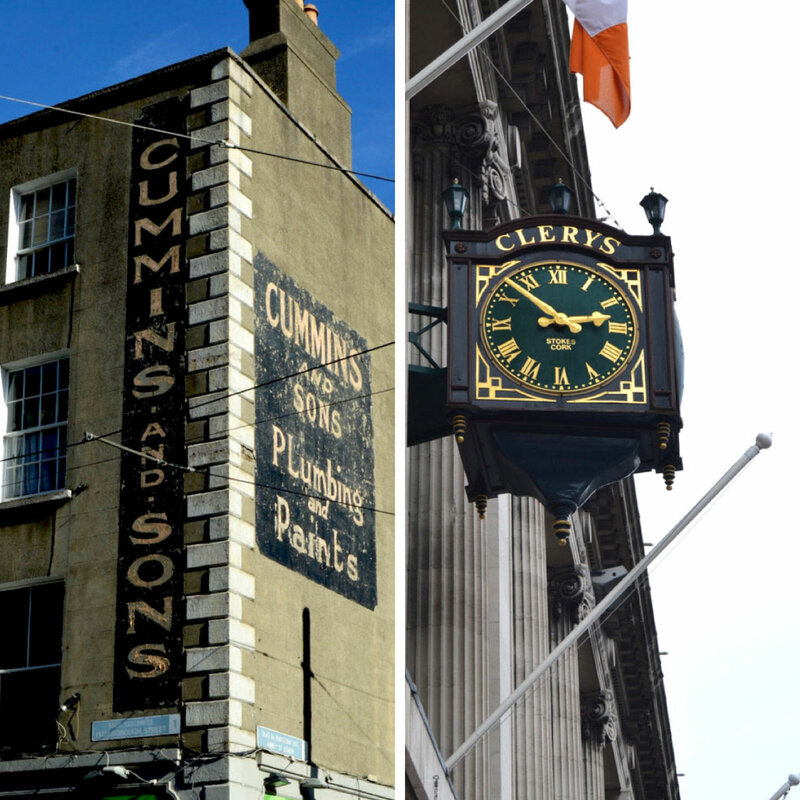 Our necks are craned looking upwards, whether it’s signage for pubs, Clery’s clock or ghost signage from places past. It makes for an interesting walk around the block. One thing you won’t find everywhere, but you will on Marlborough Street is a place to get a pint and your confession heard all at once. Well, not anymore, but legend has it that during the War of Independence, this is where rebels that were going to be excommunicated would get communion and receive confession beforehand. Apparently, Michael Collins was one of them. Our favourite local spots include The Big Romance, Pipers Corner, Tang, Bowls, and Kimchi Hophouse. 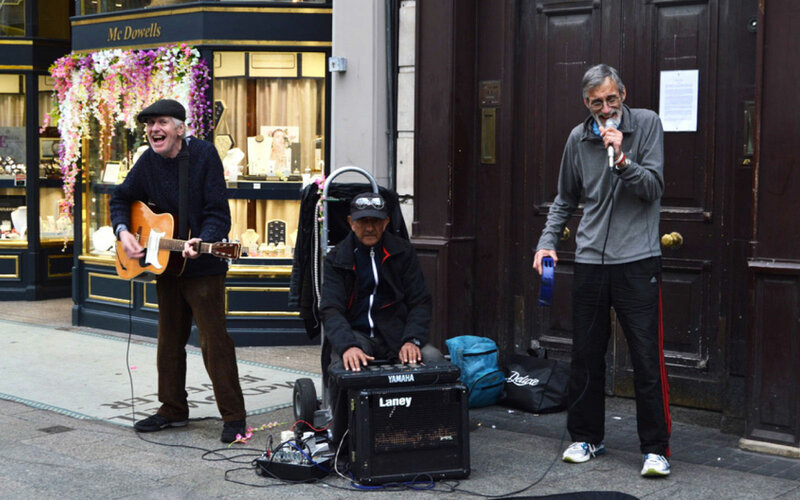 If that’s not enough to keep us inspired, there’s also constant entertainment on O’Connell Street. 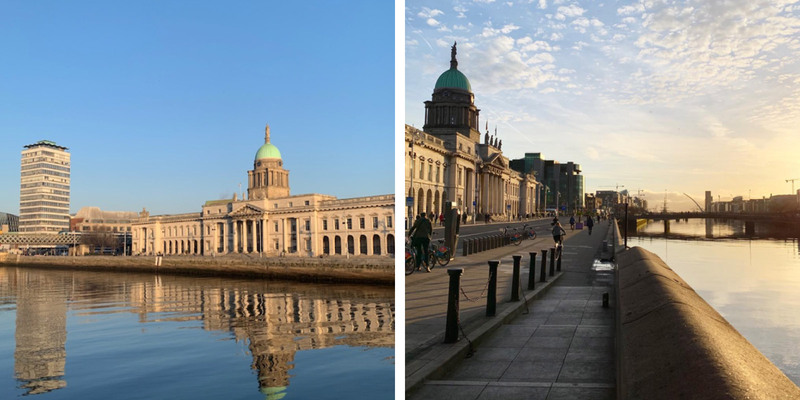 Whether it’s parades, protests or the sound of music being played by Dublin’s buskers, there’s certainly never a dull moment. O’Connell street is an exciting change from the sedate Portobello, and with every day that passes there is a new discovery to be made. 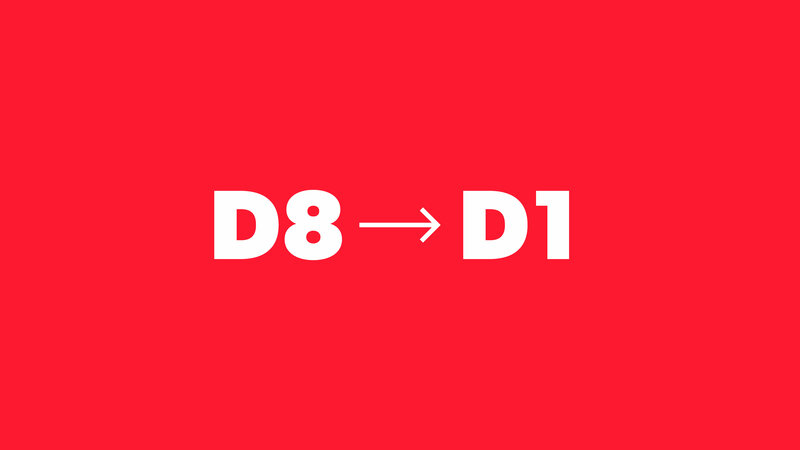 The area is changing daily, new shops appearing, scaffolding being erected and an exciting new wave of independent bars and international food styles to enjoy. Through the work we do on a daily basis designing for our clients, we hope to leave our own mark on O’Connell Street.